Update June 29, 2016: TREK Industries’ David James has released a statement saying new information has come to light, causing him to fire the artist responsible for the offending weapons. James claims that everything he said previously holds true, but the fact the game was taken down without any information as to specific assets and without warning stopped him being able to fully investigate. The developers will be removing any offending content and they hope to have the game back on sale today or tomorrow. You can read the full, lengthy statement on Steam. Original Story June 28, 2016: Orion: Prelude has been pulled from Steam by Valve after Activision filed a Digital Millennium Copyright Act (DMCA) request. The timing couldn’t be worse for the small developer, what with the Steam Summer Sale currently in full swing. If you don’t fancy spending any money in the Summer Sale, here’s out list of the best free Steam games. 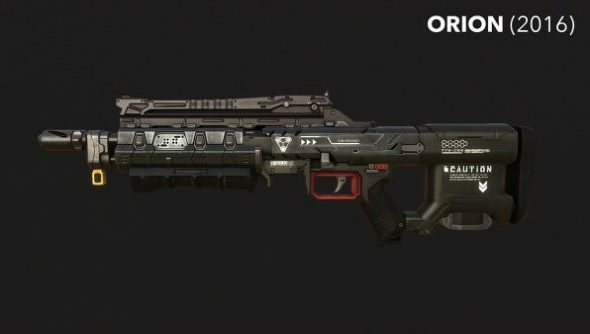 The developers of Orion: Prelude are accused of copying weapon assets from Call of Duty: Black Ops 3 and Call of Duty: Advanced Warfare – specifically the M8A7 rifle, the Haymaker rifle, and the Bal-27 rifle. The developer released some comparison images to show off the differences and there are definitely some similarities, especially with the Haymaker rifle. “The sight is the only similarity we can see,” Trek Industries boss David Prassel said, via Eurogamer. “Even if it was a 1:1, that’s not enough for a design infraction, even by legal standards and by a significant amount. While Trek Industries maintain their innocence in this matter, their artist is still going to work on new art for the weapons in question because the artists “feels absolutely horrible”. “What Activision is claiming isn’t a valid or legal use of DMCA,” said Prassel in a Steam update. 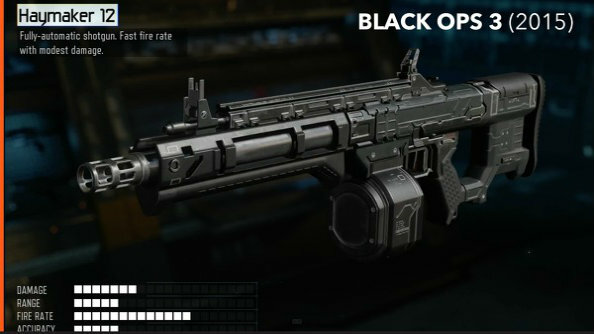 “If they were alleging that we had actually RIPPED the Black Ops 3 weapons FROM their game and used them exactly – their shipped meshes, their shipped textures – that is a DMCA case. And the fact that they made an artist feel this way when it’s ALL they do is absolute crap. This isn’t the first time Trek Industries have been accused of taking assets from other games, however – specifically from Natural Selection 2 and Primal Carnage. Speaking to Eurogamer a while back, Prassel blamed this on “genuine mistakes or misinterpretations”. The pre-alpha tech demo of Orion: Prelude, by Prassel’s own admission, featured a Natural Selection 2 armoury mesh in place of a Supply Station, “but the model was not ripped or stolen in any way”, he said. It was created by a freelancer. “While it was most certainly not created FOR our game,” Prassel said, “it was created as a personal portfolio piece as he was always very inspired by their concept art.